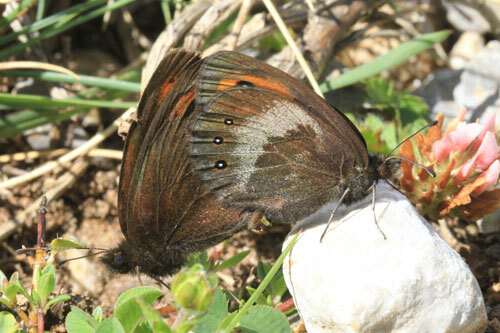 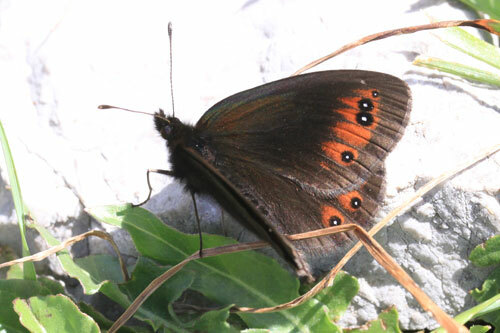 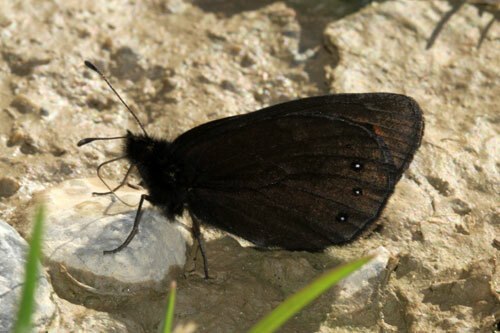 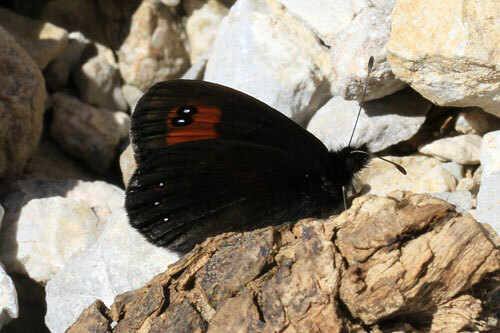 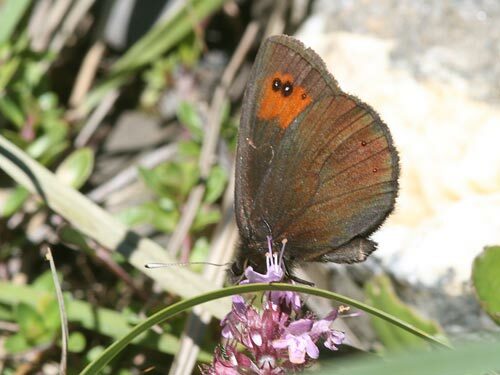 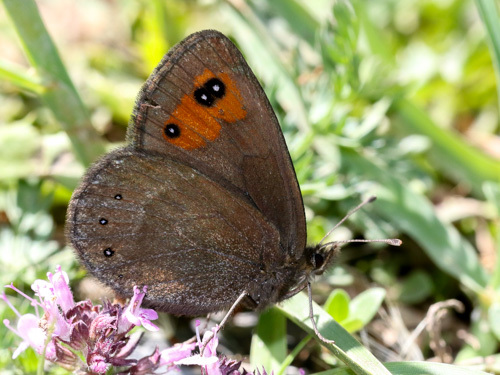 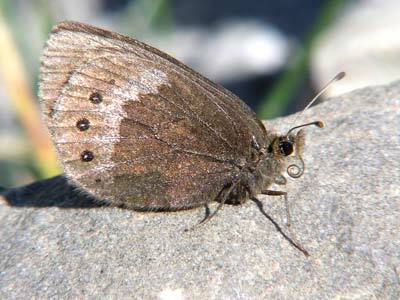 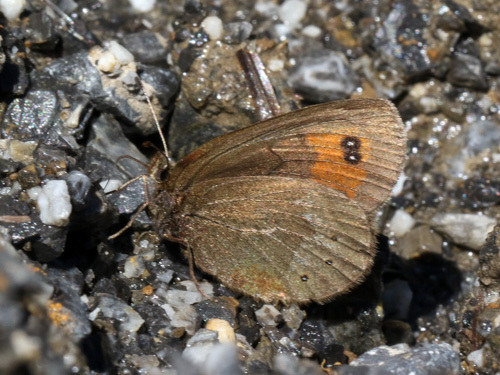 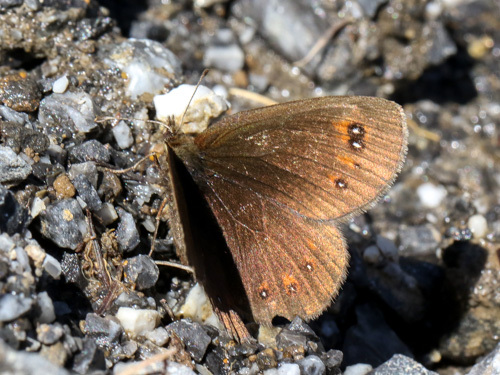 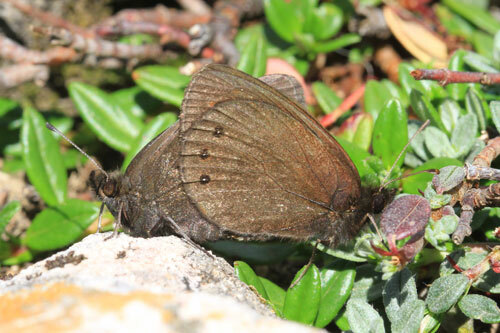 Widespread and common in the Pyrenees, much more local and scarce in the Alps. 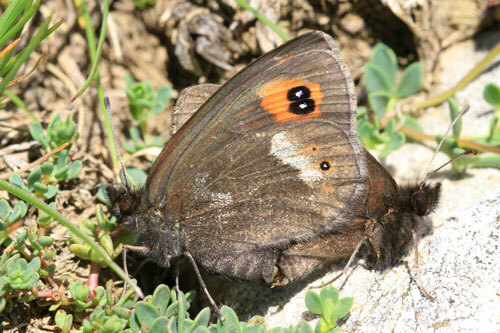 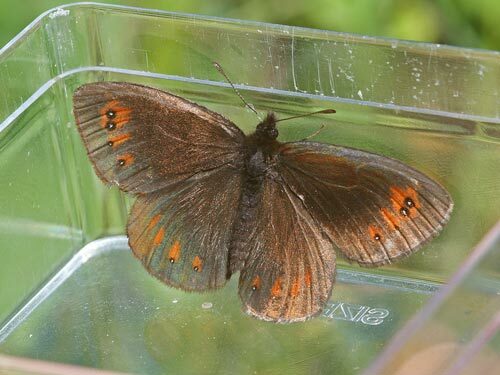 Identification & Similar species: This species is superficially similar to the de Prunner's Ringlet, E. triaria. 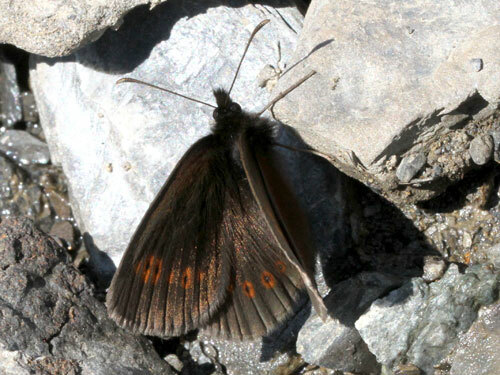 That species flies earlier, and is usually over by July except at the highest altitudes. 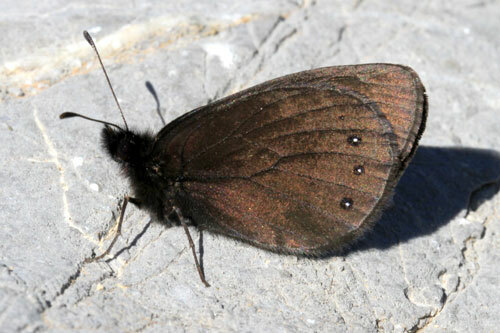 In the current species the subapical spot, which is often absent, is out of line with its neighbours. 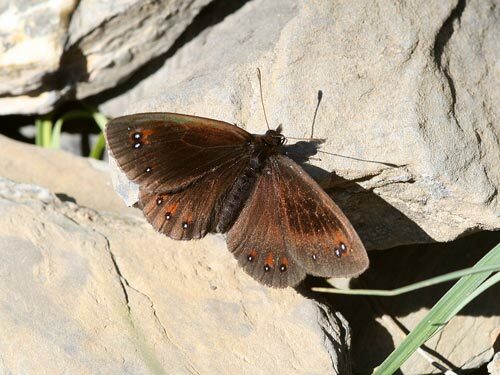 Distribution & Flight: Sporadic from the Sierras of central Spain to southern Germany and central Italy. 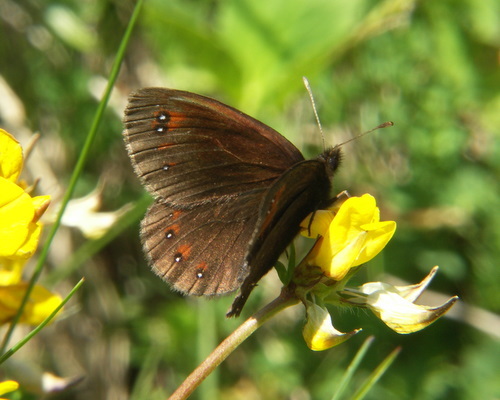 Habitat & Behaviour: Grassy places in mountains, often in clearings in forests. 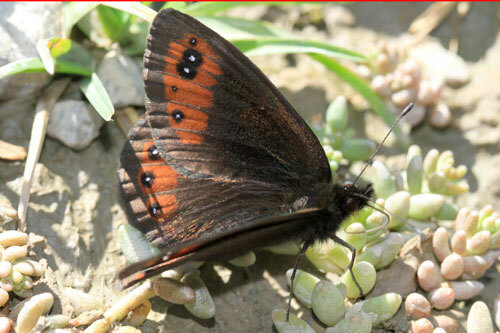 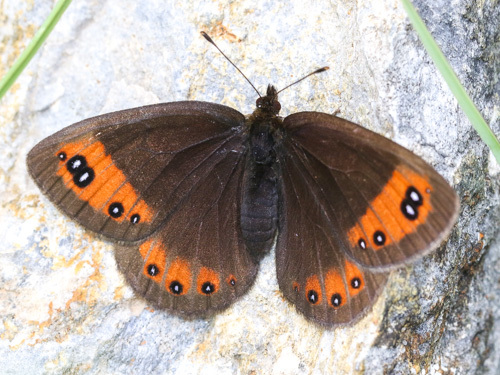 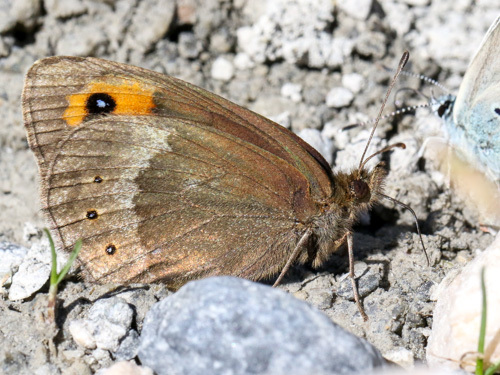 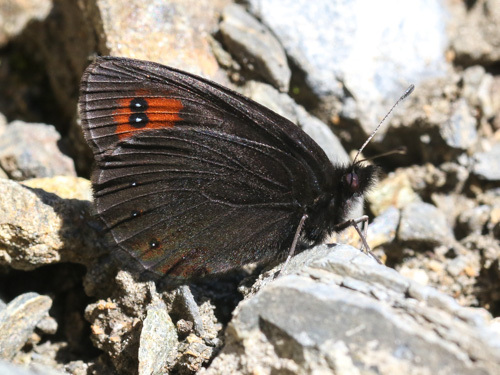 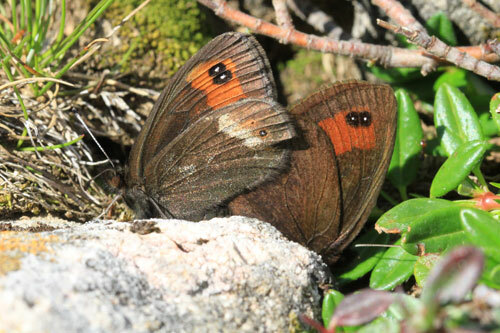 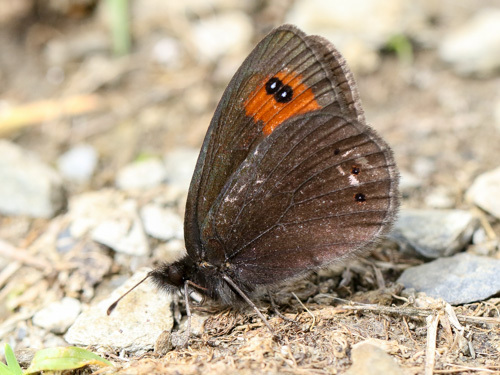 Variation: The butterflies I've found in the Alps are generally very dark on the underside.